Qantas will return $500 million to shareholders after lower fuel prices, strong demand for international flights and ongoing cost cutting placed the airline on course to report a record full-year profit. The carrier on Tuesday recorded its best first-half underlying profit before tax of $921 million, at the upper end of its guidance range, and unveiled a $500 million on-market share buyback program. The airline also unveiled plans to roll out free high-speed Wi-Fi on Qantas domestic flights, with trials starting by the end of 2016, and said it would build a new lounge at London Heathrow to open in the first quarter of 2017. The airline's bumper results were assisted by $448 million of savings from the lower fuel price, as well as $261 million in cost savings as part of its three-year, $2 billion transformation plan. 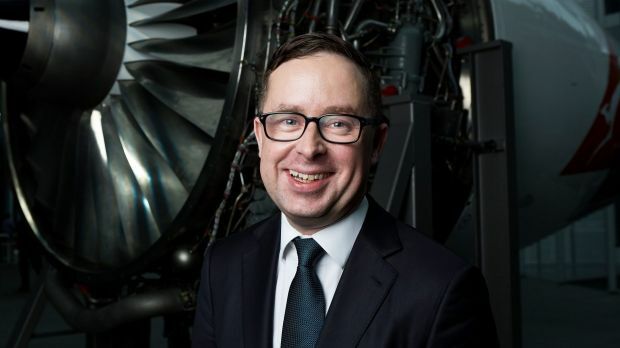 "If it was [only] due to fuel, every airline in the world would be benefiting as much as Qantas," Qantas chief executive Alan Joyce said of the results, noting his airline was about three times the size of Virgin Australia but 11 times more profitable in the first half. "There is something more going on than just fuel. And that is transformation." Mr Joyce said transformative initiatives during the first half included consolidating call centres, reconfiguring Boeing 737s to add more seats and updating the airline's revenue management system. Alongside its results, Qantas also said it would keep two of its Boeing 747-400s slated for retirement in 2016 flying longer than expected because of strong international demand and lower fuel prices. "The international business has performed the best since the global financial crisis and probably close, if not the best, in its history," Mr Joyce said. "We are seeing the new routes we've been adding across the board exceeding expectations." Sondal Bensan, an investment analyst at Qantas shareholder BT Investment Management, said the international capacity growth would be positive because it was in response to demand. "Judging by the [high] load factors of Singapore Airlines and Cathay Pacific to this region, there has to be demand spillage," he said, referring to the high percentage of seats filled by those airlines in recent months. "Qantas can fill that void." The airline will recruit new pilots for the first time since 2009, as a result of new positions that will open when it receives its new Boeing 787-9 aircraft from 2017. Qantas will boost international capacity 9 per cent in the second half, with domestic capacity poised to increase a more muted 2 per cent, amid the ongoing downturn in the resources sector. A $50 million fall in revenue from the resources sector is forecast in the second half. The airline said its full-year fuel bill was expected to be no more than $3.4 billion and would be $3.3 billion at current forward Australian dollar prices. That compares with its last update in October, when it said its fuel bill was expected to be $3.61 billion, with a worst case of $3.85 billion. Merrill Lynch analyst Matthew Spence said he believed consensus expectations for a $1.69 billion underlying profit before tax could be upgraded by 5 to 10 per cent as a result of the lower fuel bill. 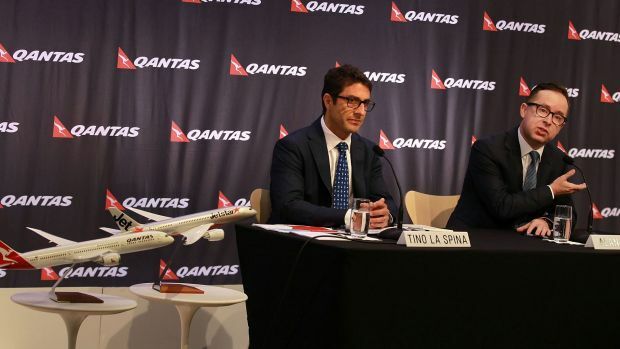 Chief financial officer Tino La Spina said Qantas expected to complete its $500 million share buyback during the current half and would then take another look at capital management alongside the full-year results in August. He said the airline had only $200 million of franking credits and just less than $2 billion of tax losses remaining from when it was in financial strife two years ago, so it would be "a while" before it resumed paying taxes. Mr Joyce said the decision to buy back shares was taken because it was the most effective way of returning capital to shareholders, rather than a sign of the company's view on the future share price. Qantas shares closed 20¢, or 5 per cent, lower at $3.79 on Tuesday. "It is hard to say why there would be such a negative reaction, given there will likely be further profit upgrades to consensus and further capital management at the [full-year results]," Mr Bensan said. "The only new information that could be perceived by some as negative is the company calling out some profit headwinds into the second half in the form of revenue pressure from cycling the World Cup Cricket [which boosted demand in 2015] and the continuing drag from weak resources demand." The airline's shares have risen 29 per cent over the past 12 months, compared with a 15.7 per cent fall in the benchmark S&P/ASX 200 index over the same period and a 6.3 per cent fall in the share price of rival Virgin Australia, which is a relatively illiquid stock. Citi analyst Anthony Moulder said the announcement of the $500 million buyback underpinned his view that the stock remained undervalued given the growth profile and high returns. "We continue to see upside to our $4.90 target price," he said.